It was only a matter of time before actor activist Jesse Williams' all-the-way woke speech on BET the last week of June would be made all too real. It took 10 days. On Wednesday, July 6, the country awoke to another instance of police shooting a black man. This time, his name was Alton B. Sterling and he was shot and killed in Baton Rouge by police while selling CDs. The next day, Americans awoke to the shooting of another black man. This time, his name was Philando Castile and he was shot and killed by police in Falcon Heights, outside of Minneapolis, after they stopped him for a busted tail light. The day after that, they awoke to the ambush killing of five Dallas police officers at the end of a peaceful protest, shot by a sniper who said he was angry at the police shootings. The tragedies further bolstered what Williams said in a now-famous speech that tapped into the anger and frustrations of black Americans. In particular, there was a part of his speech that deserves a thorough unpacking because he was talking about Sterling, Castile and the more than 1,000 black men who die at the hands of police. He was talking about the fractured relationship between the black community and police that has left many angry, resentful and distrustful of any officer in their midst. Williams said this: "Now, what we've been doing is looking at the data. And we know that police somehow manage to de-escalate, disarm and not kill white people every day. "So what's going to happen is we are going to have equal rights and justice in our own country, or we will restructure their function and ours." But what would it look like to restructure the role of police? How would we go about dismantling a system that, as some say, isn't broken but does exactly what it was designed to do: Mete harsh punishment on a disproportionate share of black and brown people? To those who think deeply about police reform, restructuring the police's role in America would mean abandoning the broken window approach to policing, focusing on crime prevention, decriminalizing poverty and investing less in militarized police departments and more in youth services. Williams didn't say what data he was referring to, but it could have been The Guardian's 2015 report showing that young black men are five times more likely to be killed by police than young white men. Or it could have been the 2005 study published in Psychological Science that indicated "officers were more likely to mistakenly shoot unarmed Black compared with unarmed White suspects." Or it could have been the stream of cases of black men shot and killed by police. The killings of Sterling and Castile are the latest jarring examples. Williams, who starred in the BET documentary "Stay Woke: The Black Lives Matter Movement," is not new to the cause -- he's true to this. He taught African and African-American history in Philadelphia charter schools, sits on the board of the Advancement Project, a civil rights organization, and supported the BLM movement from its early days. 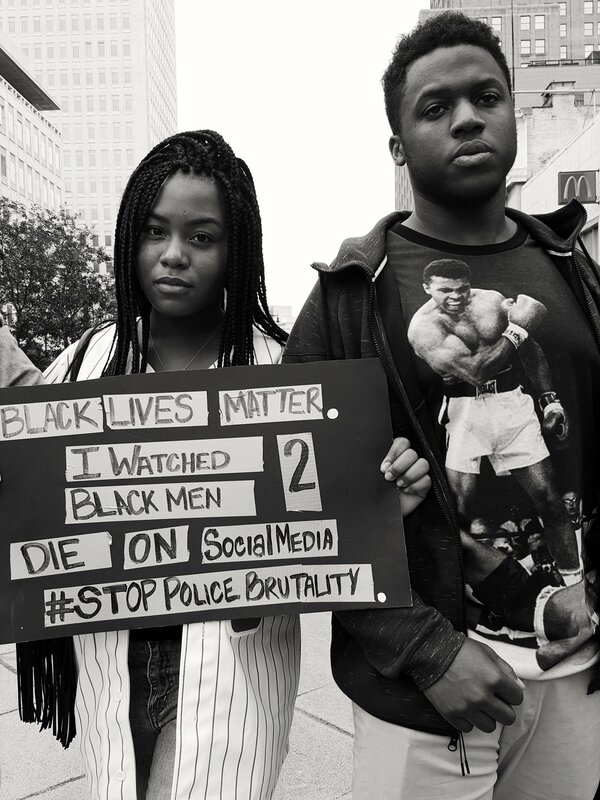 "He used that platform in a way that was so powerful and frankly, needs to happen more often," said Samuel Sinyangwe, co-founder of Campaign Zero, a national campaign committed to ending police brutality and holding law enforcement accountable. "He spoke to the full range of violence that we face," Sinyangwe said. "It is not just police violence, it is economic violence, it is cultural violence, the commodification of black bodies that is violence in itself." To Sinyangwe, restructuring means "curtailing the function of the police to things that threaten public safety and not the broken window policing we've seen in so many cities, where police are there to enforce social norms," Sinyangwe said. Last month, Campaign Zero released an analysis of the police contracts in 81 of the nation's largest cities. In 72 of those cities, contracts contained language that stands in the way of keeping police accountable for misconduct, such as allowing police to wait several days before being interrogated after allegations of misconduct or excessive force. He called for police to use a wider range of tools, such as "connecting homeless people to homeless shelters instead of arresting them for loitering." "Police departments haven't always been around and maybe they don't always need to be around," he said. "How can we begin to build up the capacity of other departments to do what police departments are doing now?" In Memphis, community organizer Tami Sawyer saw Williams' speech as a call to action to black Americans who face the threat of death every day at the hands of police, even more so than a message for law enforcement. Sawyer's activism following the police killing of an unarmed black teen in Memphis led her to run for a seat in the Tennessee House of Representatives. The white officer who killed 17-year-old Darrius Stewart retired on disability, saying he had post-traumatic stress disorder. He was not indicted in connection to Darrius' death. "We need to demand human decency and respect," Sawyer said. "It's only in communities of color where the police are showing up as a violent force." When Jim Bueermann was the police chief in Redmond, California, he helped the department re-engineer itself. "We reworked our mission statement to say that our strategic purpose was to control crime before it occurs by supporting strong families and resilient youth, and safe and sustainable neighborhoods," said Bueermann, now the president of the Police Foundation, a nonpartisan police research organization. "Police know how to suppress crime," Bueermann said. "It's the prevention and the intervention skills that police need to work on." Whether the message is forcefully delivered from the stage at the BET Awards or shouted on street corners in cities across the country, it is a message that must be heeded. Bueermann said, "Policing should be listening to (these) voices. If I were still a police chief and there was a Black Lives Matter group, I'd be sitting down and talking to them. "The police ignore those voices at their own peril." Just look at Baton Rouge, Falcon Heights and Dallas. Wendi C. Thomas is a writing fellow for the Center for Community Change.